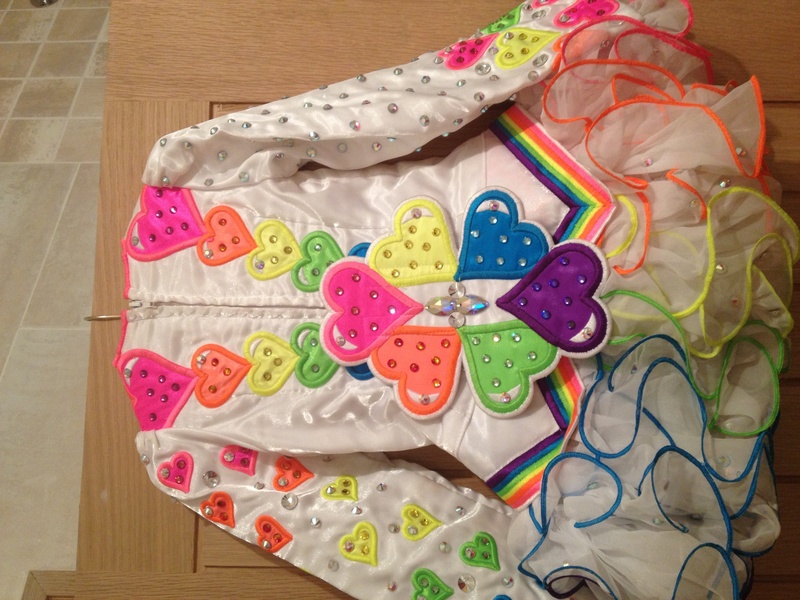 A stunning Gavin Doherty dress with multi coloured rainbow hearts. Excellent condition. The dress receives many compliments. It has hundreds of Swarovski crystals and is very eye catching! 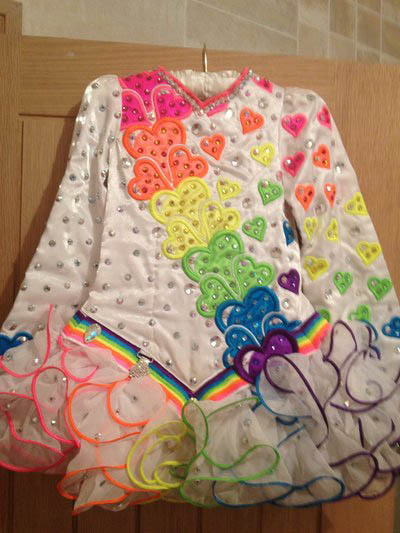 Our daughter has won many championships with this dress. We are sad to sell it but it has become too small. It deserves another dancer passionate for dancing! 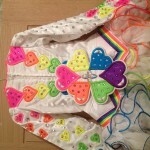 We are certain she will look beautiful in this sparkly rainbow, heart dress! Room to let bodice out and to let skirt down.